Children’s literature abounds with magical gardens: from the walled plot that Mary Lennox coaxes back to life in The Secret Garden, to the setting for a time-travelling friendship in Tom’s Midnight Garden, to Oxford’s Botanic Gardens in Philip Pullman’s His Dark Materials series. At once intriguing and healing, the best ones quietly become characters in their own right. 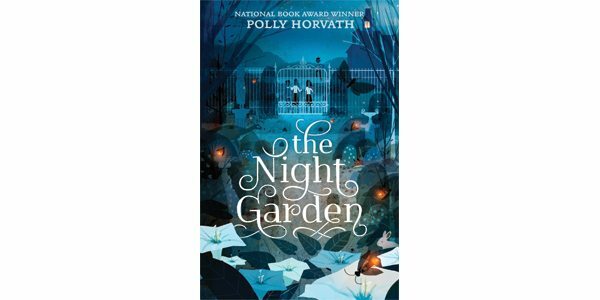 The garden in Polly Horvath’s latest middle-grade novel follows in this tradition. But the ancient night garden at East Sooke Farm – locus of a family legend involving star-crossed lovers, tragedy, and hauntings – goes one step further: it grants wishes. The year is 1945. Twelve-year-old Franny Whitekraft has lived on the farm with her adoptive parents, Sina and Old Tom, ever since she was abandoned on their doorstep as a baby. Old Tom tends the property’s many gardens, Sina sculpts and writes letters to Prime Minister Mackenzie King – suggesting he grow facial hair to present a tougher front against Hitler and Mussolini – and Franny spends hours penning stories both fictional and true. Introverted but sparky, creative but no wimp (she takes delight in selecting the most unpleasant bird in the henhouse for Sunday supper), Franny is that rare bright heroine whose precocity never becomes irksome. The family’s peace is shattered by the arrival of Winifred, Wilfred, and Zebediah, the children of a neighbour known as Crying Alice. Seized by a sudden need to visit her husband, Flying Bob, at the air base where he is stationed, Alice skips town, but not before convincing Sina to take the children in. The quirky siblings adapt to life on the farm with little fuss – until letters from their father start to arrive, setting off a panic that he might be about to do something that will change their lives forever. If Horvath has a weakness, it’s in counterbalancing such perceptive or lyrical moments with humour that sometimes veers into the cartoonish. Occasionally, her use of whimsy risks becoming overly twee – and all the wish-granting that builds up to the madcap climax verges on ridiculous. One or two minor anachronisms break the spell – for example, there’s much talk of UFOs, a term that wasn’t coined until almost a decade later. But by the time readers reach the eloquent conclusion, which culminates in ambitious reflections on the interconnectivity and mystery of life (“What we think we want is not always what we choose. But what we choose becomes our lives”), most will be too charmed to mind.